Shunann went with me to "work" today. 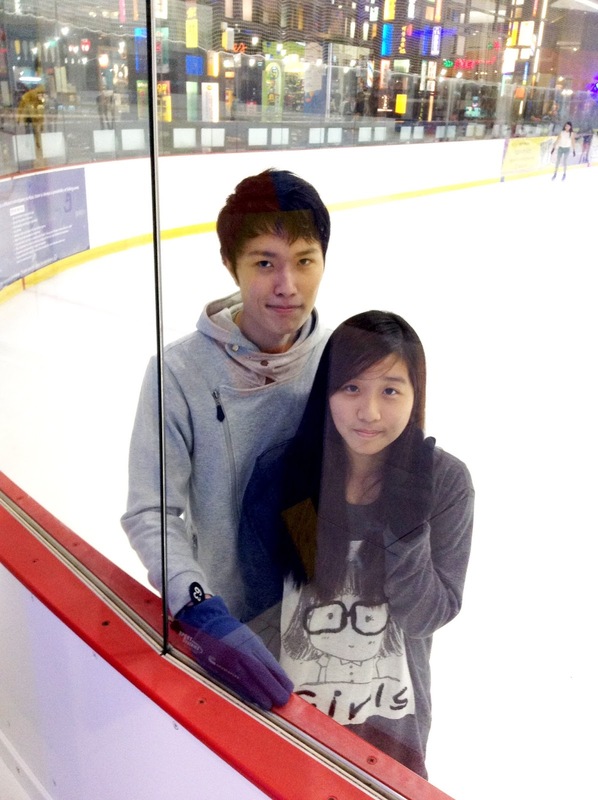 Afterwards, we went to jcube to ice skate. 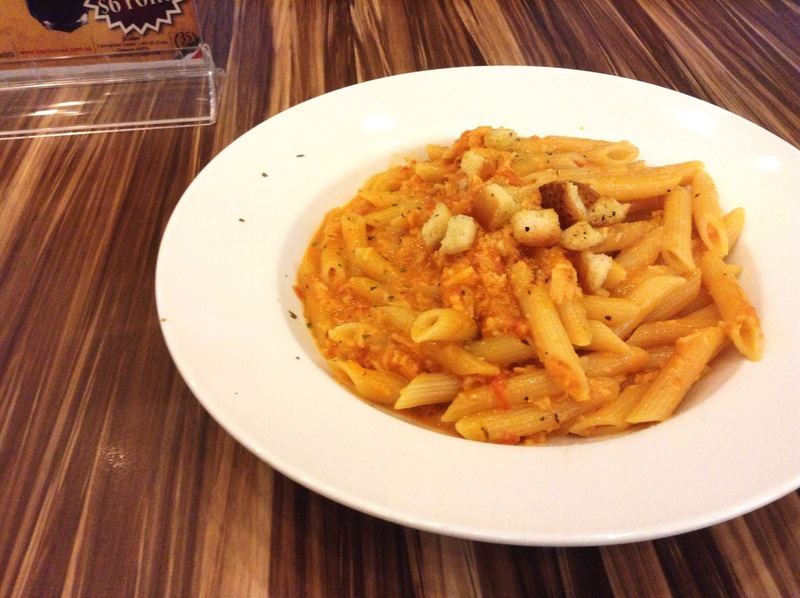 But before that, we went to eat at Capricciosa with my sis and I ordered Granchio. Granchio is a pasta with crab meat and sauteed garlic in tomato cream sauce. It felt extremely long while I waited for my pasta but it was worth it. 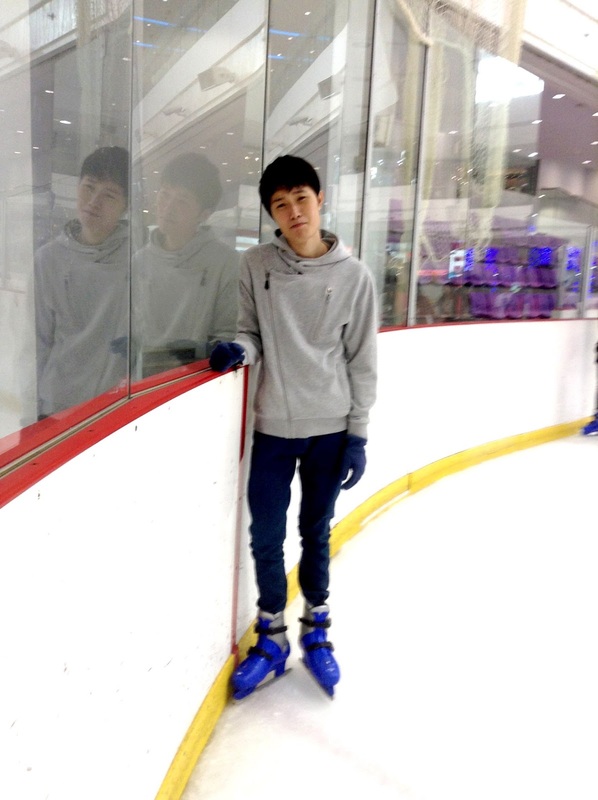 After lunch, we went to skate. It is shunann's first time ice skating and I tried to teach him to basics even though I can't really skate too. We did some practice "skates" along the edge of the rink and my sis helped to snap a photo. It was physically tiring and we decided to leave as our feet are hurting. Turns out Shunann had 2 big blisters on his feet. 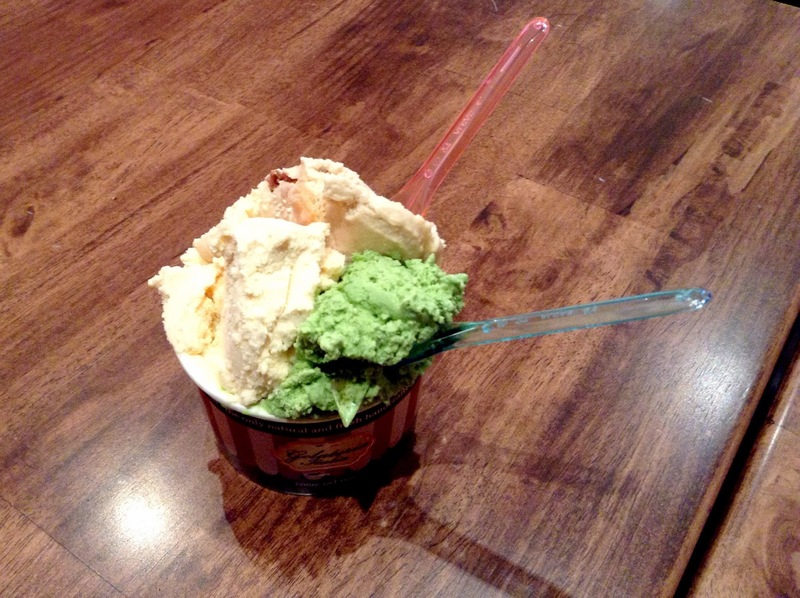 Later in the evening, we decided to have ice cream at Gelateria Italia and we ordered Bailey, Tiramisu and Green Tea.